Following Disney announcing the opening dates of Star Wars Galaxy's Edge at Disney World in Orlando and Disneyland Park in Anaheim, rumors have surfaced that Universe Studios Orlando is planning on countering this with a bit of competition. According to the rumor, Universal will be bringing a Star Trek section to their fourth park that is currently being developed. Not long after the Walt Disney Company purchased Lucasfilm, they announced that their two American theme parks will be receiving large sections based around the Star Wars franchise. It has taken years for things to come along, but finally the opening dates have been announced. Galaxy's Edge, which is the title of the Star Wars section, will open in the summer of 2019 at Disneyland, and in the fall of 2019 at Disney World. Many Disney parks already featured a Star Wars ride, along with some small attractions featuring Disney staff members dressed as Star Wars characters, but this new expansion will be much more immersive and exciting for fans of the Star Wars saga. Clearly, this is going to attract a great number of people to Disney World in 2019, which could take away from the people who would regularly visit Universal Studios instead. A few years back, Universal Studios fixed their struggle to attract fans while competing with Disney World by adding two different Harry Potter-themed sections to their parks. However, Disney's Galaxy's Edge may bring that attention and popularity back to Disney, as the Star Wars franchise is currently a lot more popular today than Harry Potter. 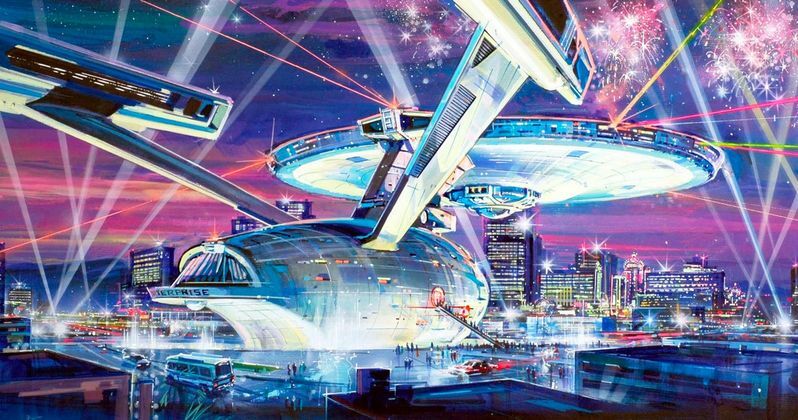 Adding a Star Trek-themed section to Universal Studios may not be the perfect counter to Galaxy's Edge, as the Star Wars franchise is much more prominent in pop culture than the Star Trek franchise, but it's still an incredibly smart move. While the Star Trek section won't have iconic characters like R2-D2 or Darth Vader, it will still most likely have a similar aesthetic, being about space adventures. Because of this, over time, many people wanting to go to a theme park may see Universal's Star Trek section as equally alluring as Disney's Galaxy's Edge. Universal Studios previously featured a Star Trek attraction during the 1980s called Star Trek Adventures. It was a live, on-stage show that attracted quite a bit of popularity during its early years. However, as the popularity of Star Trek declined more and more throughout the decade, it was eventually replaced with a different live show. This rumor of a Star Trek-themed expansion to Universal Studios from Disney and More is certainly great news for Star Trek fans. Because of all the attention and fame that Star Wars gets, Star Trek regularly gets swept under the rug and forgotten, despite having a rather large fan base that has kept the franchise alive for over 50 years. Even if the Star Trek section at Universal Studios Orlando is being made to directly compete with Disney World, it should still be a fun attraction to visit, hopefully giving Star Trek fans the option to board the Enterprise as they have always dreamed of doing. One can only hope that this rumor turns out to be true.